Judge Francis J. Vurpillat, proclaimed Dean of the College of Law at the beginning of the school year, is a man whose wide experience and scholarly mind eminently fit him for the position. During his long and brilliant career he served in various official capacities, notably as prosecuting attorney of the 44th Judicial Circuit of Indiana for three consecutive terms, and for several years as County Attorney and as City Attorney at Winamac, his native city. 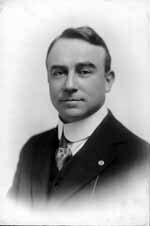 In November, 1908, he was elected Judge of the 44th Judicial Circuit and served in that incumbency for six years. In addition to the fame attained in virtue of the fact that he was the youngest circuit judge ever elected in Indiana, Judge Vurpillat gained prominence and favorable comment from the bench and the bar on account of written opinions delivered in cases of unusual importance tried by him, among which were the Kankakee Meander Land case; another case involving the construction and constitutionality of the Fee and Salary Law; and another placing the first construction on the general liquor laws of the state, particularly the local option law and the Proctor Regulation Act, a construction affirmed by the State Supreme Court. Judge Vurpillat was called to the Law College in 1915 by the Rev. John Cavanaugh, then president, and since that time has devoted his talents and energies exclusively to the work of acting dean. The leadership of Judge Vurpillat augurs well for the Law College, and much may be expected from his administration. —Delmar J. Edmundson, "Notre Dame's Legal Renaissance," 1 Notre Dame Law Reporter 57, 58 (1920). The Vurpillat Era 1918–1923, in A Century of Law at Notre Dame, Philip S. Moore C.S.C.